IdeaStream Snap-N-Store Storage Box - 6" x 10.25"
CD/DVD Storage Box holds 60 CDs/DVDs in full jewel cases, 120 CDs/DVDs in slim cases and 330 CDs/DVDs in CD sleeves. Design features heavy-duty fiberboard panels, industrial-size snaps and 50 percent post-consumer content. File storage pieces ship and store flat, and can be assembled in a snap. Exterior features leatherlike laminate. The front of the box has a chrome card holder for labeling. 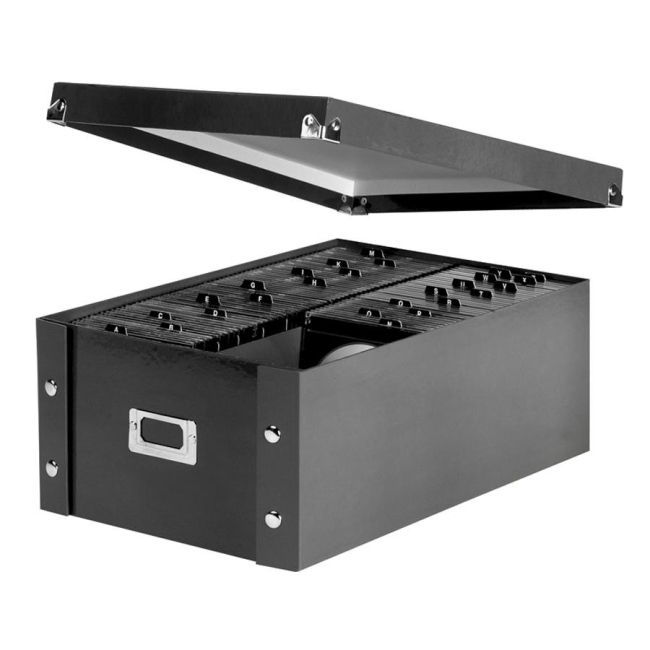 Storage box is made with 50 percent post-consumer material.